Sony NEX 7 camera has already been a great success. Why? it is possible to attach nearly any kind of lens of the passed and the present to this little (very little) body. And the best is that the camera is clever enough to adjust all it’s exposure parameters depending on the quantity of light that hits the sensor. No electrical link is needed with a lens like a Leica. Control the aperture and the body will do the rest. Isn’t it cool with a lens like the new Leica Summilux 35mm f1.4? – It is a light camera, very light but VERY powerful at the same time: pixels 24Mp sensor is 30% more than M9 camera 18Mp + definitely better in low light than a M9 ! – because of it’s full electronic control, the image on the EVF (the best on the market today) or on the back display shows you exactly what you will get in terms of focusing, luminosity and depth of field. – Manual focus is easy because you view where in focus area is, due to an outline in a color that you can even choose + there is a digital magnifier that let you observe the very detail of what the picture will record. – It is fun to shoot with! 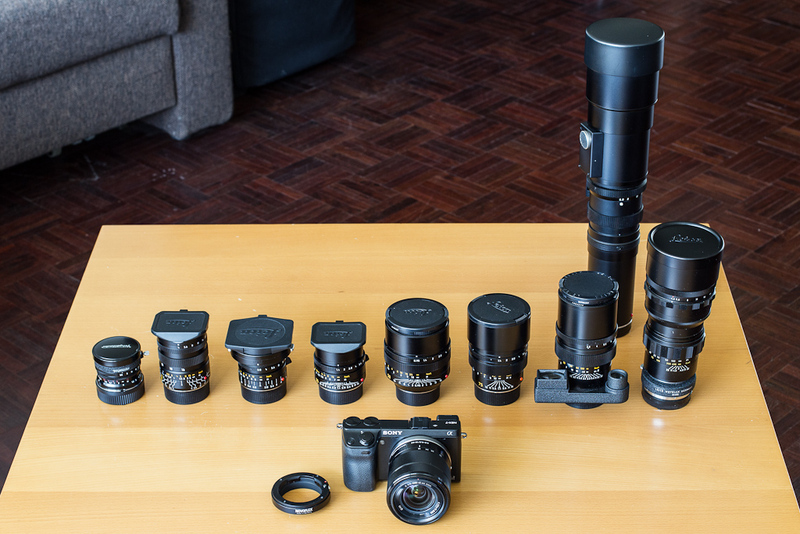 Lot of new possibilities for those old and new Leica or Leitz lenses. – Choose a prime quality lens adapter. No loose attachment is permitted here to keep lens top quality. – Take time to configure NEX 7 buttons to your taste. It is disturbing at the beginning, menu are not well organized, but once you have found your way, it is quick to change camera settings on the fly. – Some color fringing can happen with some lenses. Solution = use a good software like Lightroom 4.1 which incorporates very efficient color aberrations correction controls.